Marketing is about getting your message to your target audience when and where they need to get it. Cut through the clutter on the information highway with a mobile marketing vehicle. Since 1992, EventPro has lead the way in helping businesses touch their target audiences wherever they may be. 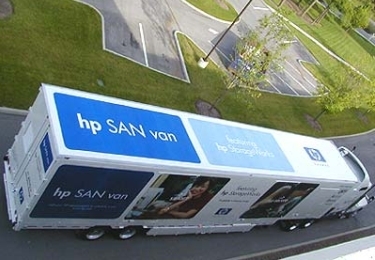 Our mobile tour vehicles and turnkey tour logistics accelerate sales and maximize training initiatives with mobile marketing exhibits, mobile training tours, and product promotions vehicles. Take your engagement campaign throughout North America, or around the world. Our mobile experiential tour solutions will give you the flexibility and capacity to create millions of impressions, professionally and cost-effectively. Call us at (317) 580-0006 today!